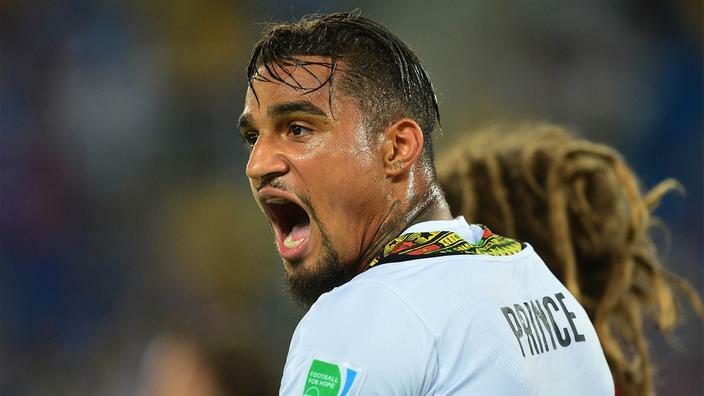 After his shocking move to Spanish giants FC Barcelona stirred up public debate on his national team recall, Kevin-Prince Boateng’s Black Stars story will remain unchanged as head coach, Akwasi Appiah does not fancy him in his plans, a close source says. The coach remains unmoved and is of the view that the player is a destabilizing element in the national team, insisting he is too difficult to work with. Appiah believes K-P Boateng’s egoistic tendencies set a tone of disharmony in the team and roughens the surfaces in camp with his body language and varied tastes. With the 2019 African Cup Of Nations beckoning and Ghana’s wait for success in Africa’s biggest continental competition prolonged, public opinion has been divided on the inclusion of the Barcelona forward in the Black Stars team with many urging the head coach to put the vexations of the 2014 World cup behind him. Appiah’s heated exchanges with Boateng in Brazil during the World cup highlighted his lack of grip on the Black Stars squad among other matters. Sources say, the coach having supposedly learnt his lessons in the past remains stuck on his resolve and believes Boateng’s days of wearing the Ghana national colors ended in 2014.